More bad news about Bisphenol-A (BPA)! In addition to brain tumors, hyperactivity, heart disease, diabetes, and obesity, this endocrine disruptor has now been linked to asthma. A new study conducted at Columbia University has found that increased exposure to BPA at ages 3, 5, and 7 strengthened the likelihood these same children would suffer from asthma between the ages of 5 and 12. BPA is used to make polycarbonate plastics and is found in some canned foods and beverages, paper receipts and dental sealants. More than 90 percent of Americans have traces in their bodies. Medical experts for decades have been trying to figure out what has caused asthma rates to skyrocket in children throughout much of the world, beginning in the 1980s. Many suspect that it might have something to do with early-life exposures and changes in immune systems causing inflammation. One out of every 10 U.S. children has been diagnosed with asthma, and the rate is even higher for black children – one out of every six, according to 2011 data from the Centers For Disease Control and Prevention. The study doesn’t mean BPA causes asthma or wheezing. But “it’s an important study because we don’t know a lot right now about how BPA affects immune response and asthma,” said Kim Harley, an associate professor at the University of California, Berkeley, who studies environmental chemicals and children’s health but did not participate in the new research. The study began tracking BPA levels in the children in utero by testing the mother’s urine in the third trimester. 568 families participated in the study mostly from low socioeconomic and minority status. The Columbia study is the first to find a link between BPA and asthma in humans, although similar results have occurred in laboratory mice. 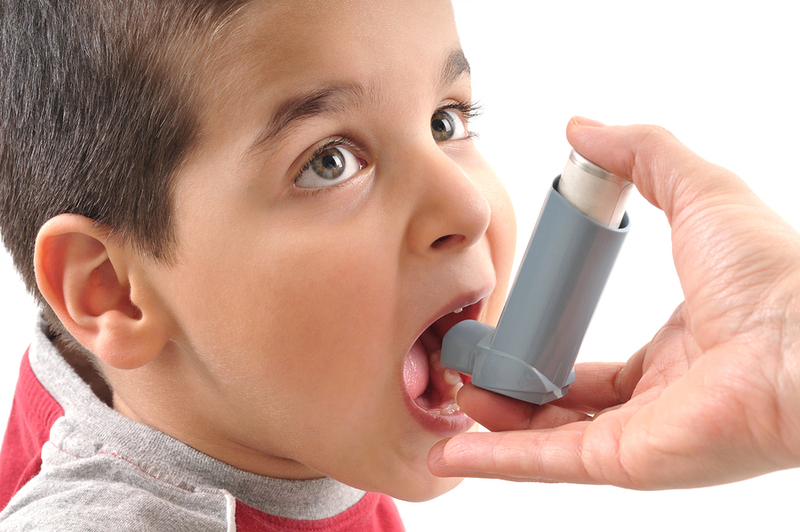 BPA levels in the mother’s urine were not associated with their children’s asthma. Mothers with higher levels of BPA were actually less likely to have children that developed wheeze. That finding is surprising, because the only other human study on BPA and respiratory problems did find a link between the mothers’ levels and increased risk of their child wheezing before age 3. In that study, published last year, Penn State researchers measured the mothers’ BPA levels earlier in their pregnancy. The different outcomes may be because Donohue’s team measured BPA later in fetal development, during the third trimester, Braun said. I have only experienced asthma once in my life induced by wildfire smoke. I cannot imagine how difficult it would be to live with this illness, let alone have a child that suffers. We need to ban BPA and other plastic chemicals from all consumer products. In the meantime, look for foods packaged in glass and never drink bottled water, BPA-free or not. « Natural Beauty and Wellness: I Love Naturopathica!